Trainer's Elite 301 prepares aspiring trainers for a state's trainers licensing exam. 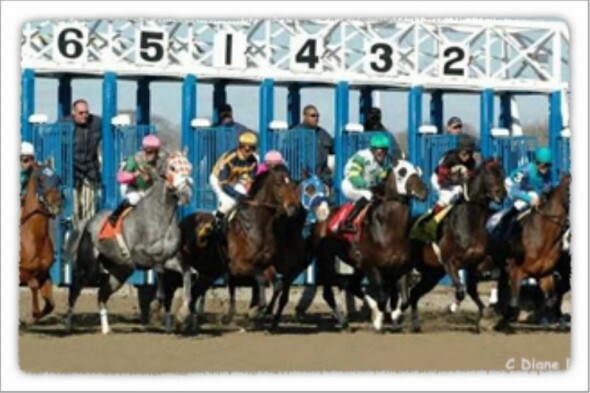 Short Course on principles of training and rules of racing preparing students to take state trainers licensing exam. (State licensing exams administered by respective state and completion of this class does not guarantee licensing.) A complete list of topics is available from the left hand menu. Tuition: $250 (includes loose-leaf bound handout materials, refreshments and CD of materials). Continuing education classes for owners and trainers covering the newest research in exercise physiology, nutrition, training philosophies, EHV-1, biosecurity (preventing disease spread) and more. © 2009 The Elite Program, Inc. A 501(c)(3) organization making a difference in the lives of people and horses.